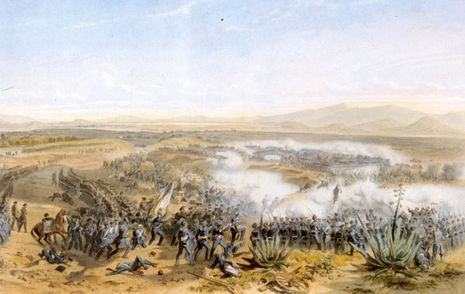 The Battle of Contreras, also known as the Battle of Padierna, took place during the August 19–20, 1847, in the final encounters of the Mexican-American War. 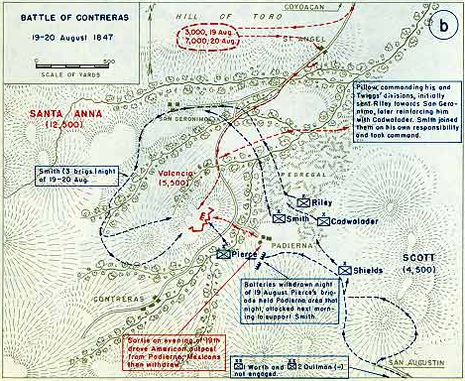 In the Battle of Churubusco, fighting continued the following day. 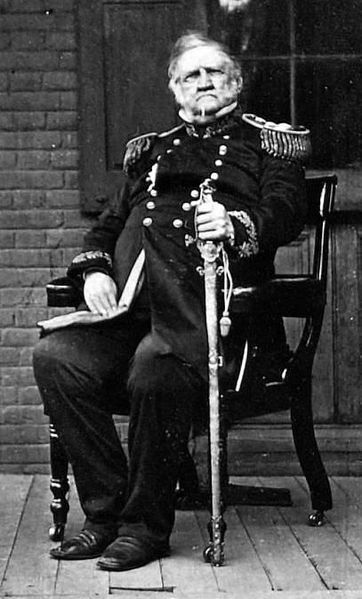 The U.S. launched two major assaults on August 20, 1847, as part of General Winfield Scott’s sophisticated strategy to neutralize the 36,000-man army assembled by General Antonio Lopez de Santa Anna to defend Mexico City. The principal Mexican positions covered two roads heading to the city. A fortified Hacienda in the town of San Antonio covered the easternmost approach, while the town of San Angel covered the westernmost. Between them to the south lay a vast, seemingly impenetrable lava field, El Pedrégal.